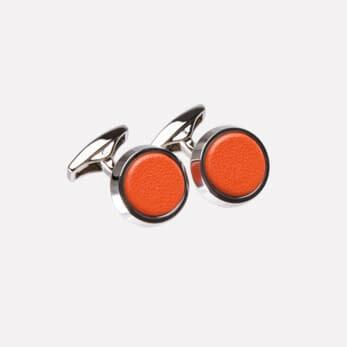 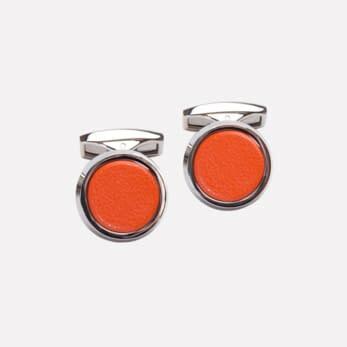 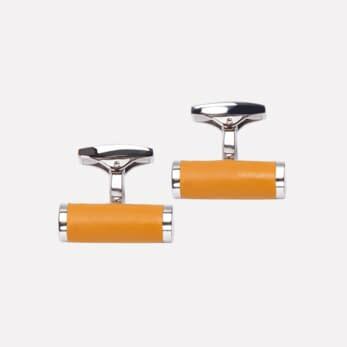 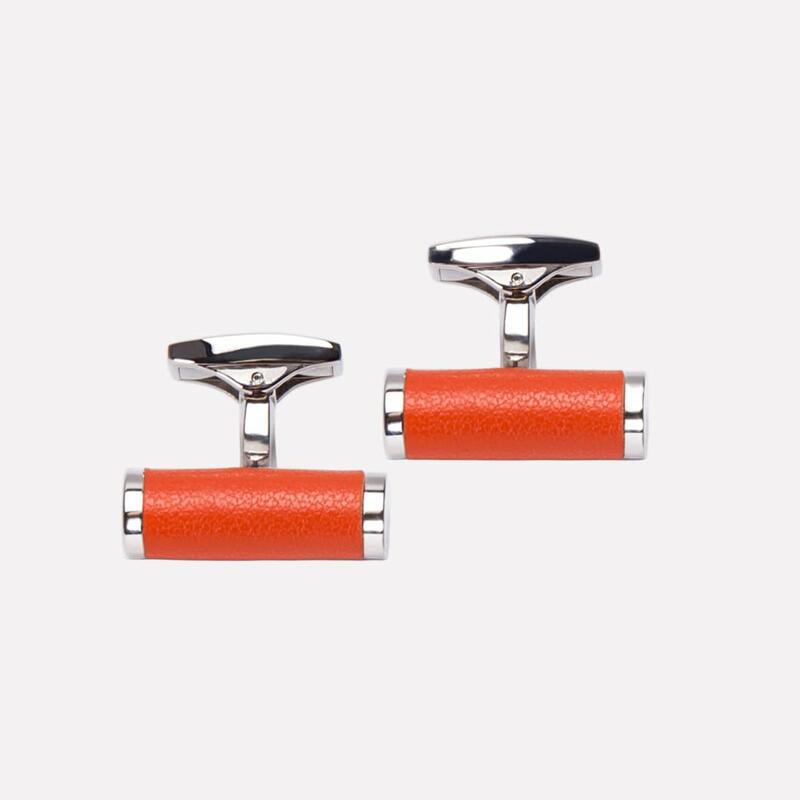 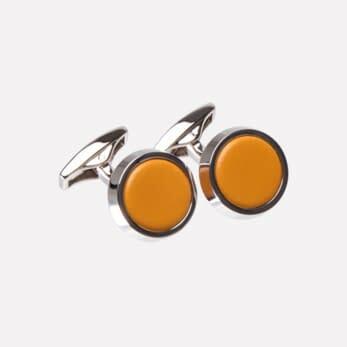 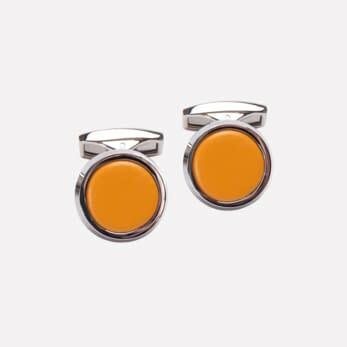 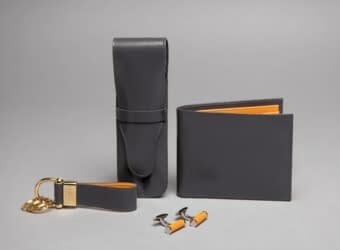 Bring a little colour to your double cuffs with these metal bar cufflinks encasing a leather inlay. The solid brass parts have been designed to easily slide through the cuffs in the open position but to remain firmly in place when turned into the closed position. 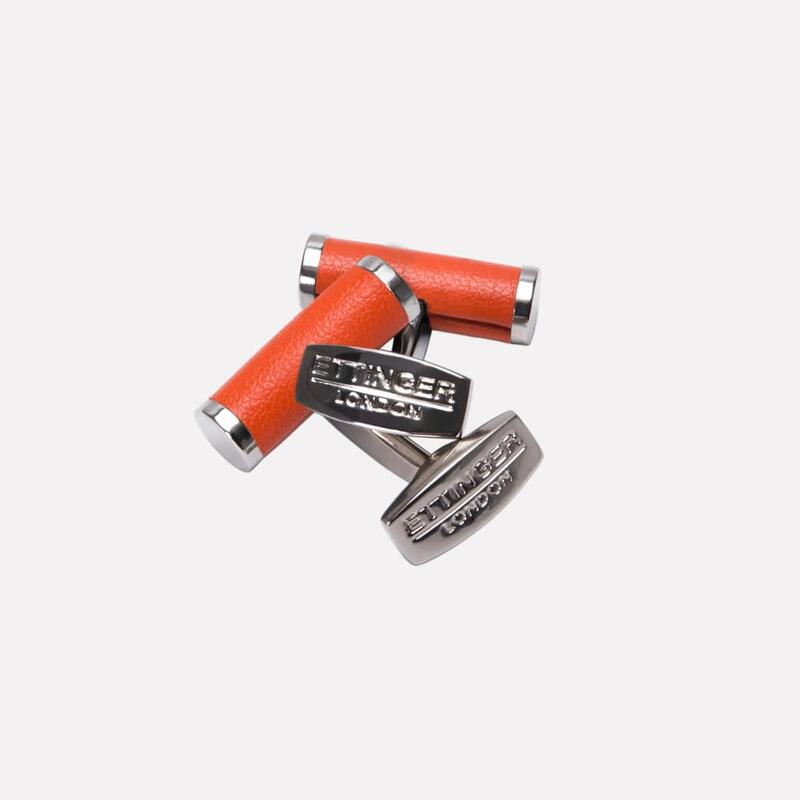 From the Sterling Collection, using soft grained leather and brass plated in pure palladium; a material that is stronger than gold, a hypoallergenic metal that is naturally bright white, 95% pure and won't tarnish. 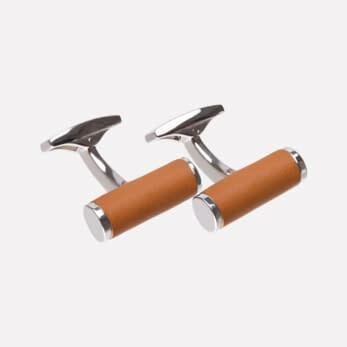 This calfskin has a very fine grain, selected from the very best full grain skins is has then been chrome tanned with a classic aniline finish. 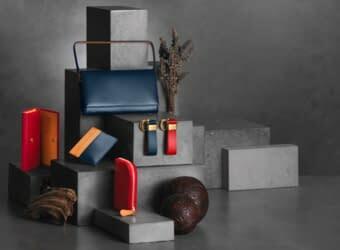 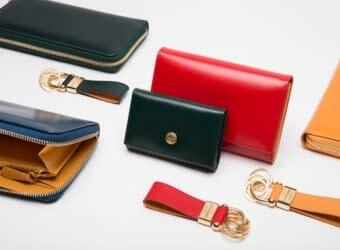 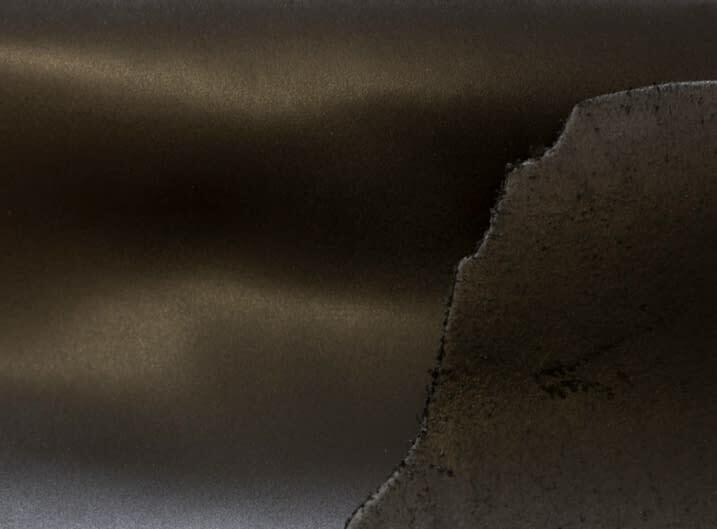 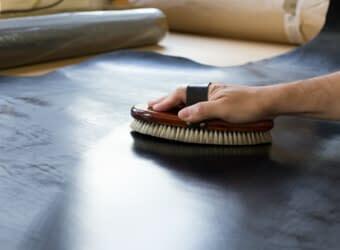 This means we have retained the natural aspect of the full grain leather whilst ensuring its has a great depth of colour and its general aspect should not change much over the course of its lifetime.